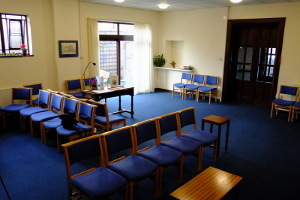 The Garden Room is to the right from the main entrance. 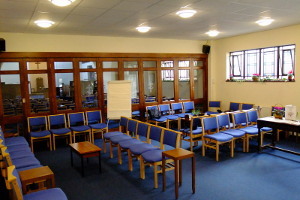 It is a medium sized room that can seat up to 50. It is ideal for a presentations, discussions and lectures. own kitchen suitable for preparing cold meals and hot drinks.